"You could not make a better choice." 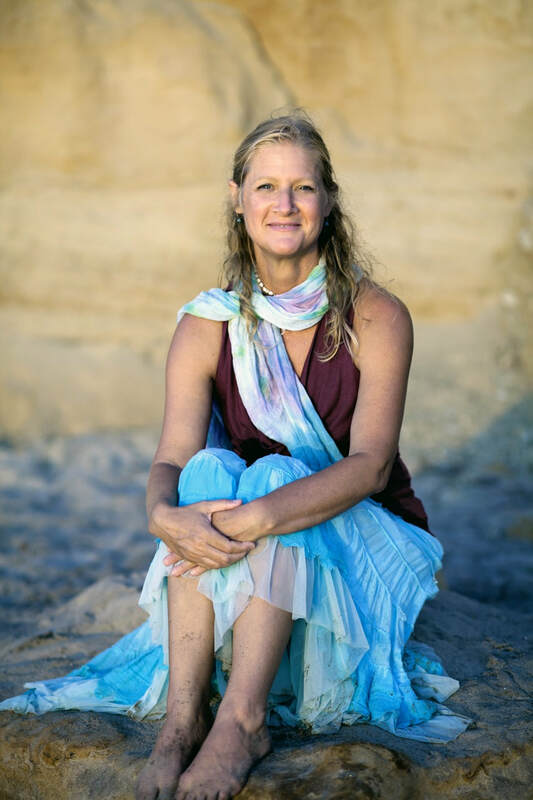 "I have had the distinct pleasure of working with Sarah Wyckoff as my transformational coach. I found the process itself to be incredibly profound. Sarah, herself, is a real delight. She is very gifted as a coach – open, intelligent, insightful and patient, without a hint of judgment. A rare find, indeed! Sarah enabled me to completely trust (and enjoy) the process as it unfolded. I am continuing to use the tools that I learned from the work and know that my transformation has only just begun. "The most remarkable thing has been occurring in my work with Sarah Wyckoff: I have been slowly making a fundamental shift in what the purpose of my life is. By default, my life was about about survival, and becoming whomever I needed to be to gain social acceptance, jobs, etc. I never seemed to have time to enjoy myself, as I believed that life never lets me rest. Through the skills and capacities I am learning from Sarah, the locus of power is shifting to me, and my connection to Source. I am understanding that I am the one who gives myself permission to enjoy my life, who creates the sense of survival or fulfillment. Though it is a little scary at first, I am learning to let my true interests guide my life. That life really can be about feeling good. What a profound gift to give a person: Thank you, Sarah!" "It had become increasingly clear to me that my default attitudes were sad, bad, and mad and I wanted an attitude adjustment. I have long been attracted to Sarah’s lightness of spirit and body, her evident joy in life and I very much wanted part of what she had. It was hard for me to believe that an attitude change of long-standing patterns COULD occur in 10 weeks, but Sarah believed it and I put myself into her hands. Amazingly, things DID change! Tools for dealing with negative situations were offered and implemented. Creative ideas began flowing around in me and I ACTED on them. Buoyed by Sarah’s confidence in the process, my own life was flowing much more easily, much to my surprise. And now, I can see the vibrancy of my own life. I’m getting out of the way of my own life’s success. I’m producing art fearlessly, some of it inspired by things that came up with Sarah. Thru Sarah’s process, my attitude and life became significantly more joyful, creative and (kind of unbelievably) more prosperous." "I am extremely impressed with Sarah. It is obvious that she has excellent professional skills, as well as true life experience. Sarah has an aura of deep caring, non-judgment and maturity. Sarah has an understanding of our situations and personal challenges, yet rather that giving her opinion, she encourages us to think and formulate an understanding of ourselves." "What an angel Sarah has been on my journey to stepping into my power and developing my business! Doing Coaching with Sarah couldn't have come at a better time for me. I was feeling stuck and scared on my career path when I began the program. Doing this series with Sarah really supported my forward movement. She had an unrelenting commitment to my happiness and intentions even when it meant going into dark and difficult places with me. Sarah's passion and strong belief in human potential and her work are contagious. I recommend Sarah to anyone who is ready to face their blocks and move into living their potential." --N.S.